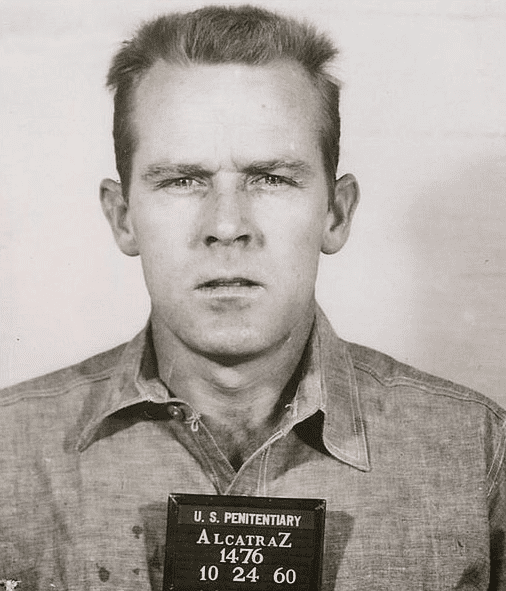 A Mystery: Did 3 Cons Escape Alcatraz Prison in 1962? The federal prison on Alcatraz Island (“The Rock”) was in operation for 29 years, from 1934 to 1963, and the official history is that no prisoner ever escaped. The prison was well fortified, with high walls, barbed wire, iron bars and lookout towers, and patrolled by armed guards with orders to shoot to kill. What made the prison escape-proof, however, were the cold waters and swift currents of San Francisco Bay surrounding Alcatraz Island, sure to drown any would-be escaper. Photo: Alcatraz, with Angel Island (the fugitives’ intended destination?) in the background. Credit: Daniel Ramirez; Wikimedia Commons. Over the years desperate inmates did try to escape, but they were almost all killed or recaptured. Almost all. 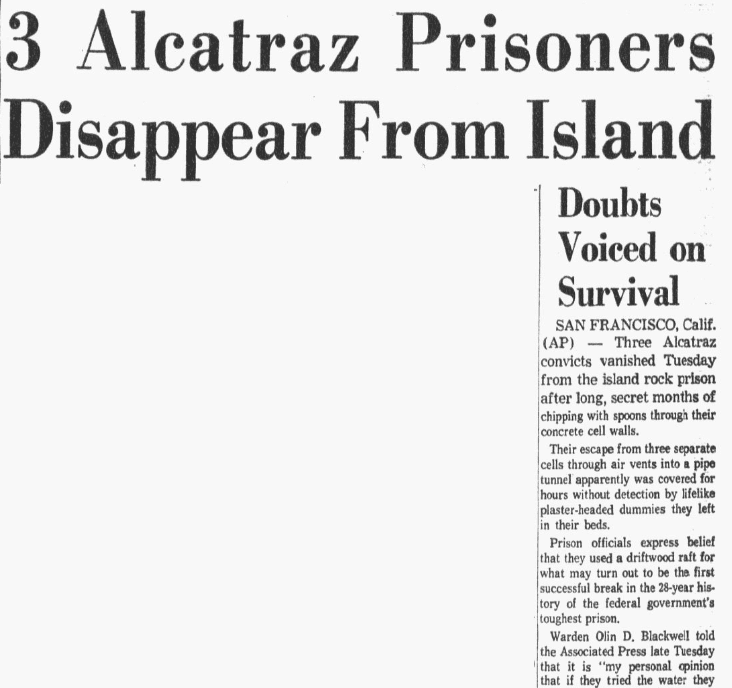 In 1937, Theodore Cole and Ralph Roe vanished from Alcatraz prison and were never seen again. Did they make it to the shore or did they drown, as prison officials believed? Photo: John Anglin, 1960. Credit: U.S. Federal Government; Wikimedia Commons. On 11 June 1962 three other convicts escaped off the island and may have made it to freedom: two brothers, Clarence and John Anglin, and Frank Morris. These three bank robbers, described as “dangerous men,” spent more than a year working on an incredibly elaborate, well-conceived and well-executed escape attempt. Photo: Clarence Anglin, 1960. Credit: U.S. Federal Government; Wikimedia Commons. First, each man spent more than a year using spoons to slowly chip through a concrete wall located behind an air vent at the back of their cells, covering up their work with a false wall made of painted cardboard. Photo: escapee’s prison cell, with widened vent opening beneath the sink. Credit: Benlechlitner; Wikimedia Commons. Behind their cell walls was a utility tunnel leading to a ventilation shaft that went up to the roof of the cell house. Beyond the cell house were the lookout towers, a high metal fence with barbed wire, and the cold Bay waters. Photo: Frank Morris, 1960. Credit: U.S. Federal Government; Wikimedia Commons. On the night of the escape there was a thick fog filling San Francisco Bay, and the three men dutifully turned off their cell lights at the required hour of 9:30. But instead of getting themselves into bed they placed false bodies made of pillows, topped with incredibly lifelike heads made of soap wax (adorned with real human hair they had stolen from the prison barber shop), into their beds to fool the night checks. 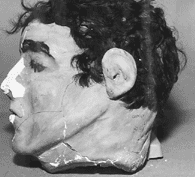 Photo: side view of dummy head found in Frank Morris’ cell. Credit: FBI; Wikimedia Commons. Then each man crept through the hole he had made in his back wall, entered the ventilation shaft, and climbed up onto the roof. On the roof they had previously stored raincoats and rubber cement to make a raft, and wooden paddles they had made in the prison’s workshop. They got themselves, the raincoats and paddles down a 40-foot drainage pipe to the ground below. Then they scaled the metal fence, made a dash to the water, assembled the raft and paddled away – the fog all the while hiding their movements from the lookouts. Just like that, they were gone. No bodies have ever been recovered. However, traces of the men were found again. One of the wooden paddles, part of the raincoat raft, and some personal papers were found washed up on Angel Island, 1¾ miles north of Alcatraz Island. Did the men capsize and drown in the Bay? Or did they make it to Angel Island, then swim from there to the shore? Rumors persist that the escapees made it, and some family members, friends and lovers claim to have had contact with the men long after the escape attempt. The hunt for the three missing prisoners is still officially active, as the U.S. Marshall’s office will not close the case until the men reach what would have been their 100th birthdays. 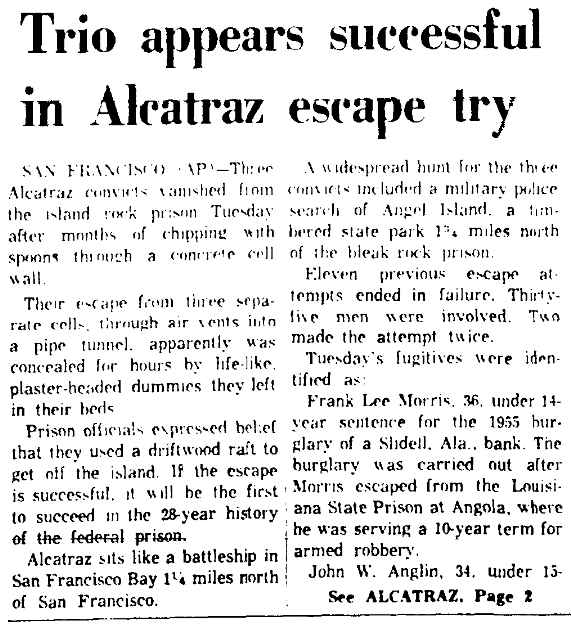 The following three newspaper articles report the astonishing news that three convicts may have escaped “escape-proof” Alcatraz. SAN FRANCISCO (AP) – Three convicts – all bank robbers – escaped during the night from Alcatraz federal prison in San Francisco Bay, the prison said today. Acting Warden Arthur M. Dollison said it appeared the three convicts shoved off from the island on an improvised raft or driftwood. He said they had cut away a portion of the back of their cells with a sharpened spoon. They gained access to a utility pipe tunnel through which they climbed to the roof of the cell block. They removed bars protecting a skylight. From the roof they dropped down a pipe to the ground. Then they made their way to the rear of the island to the water’s edge, Dollison said. Dollison identified the three as John W. Anglin, 32, and Clarence Anglin, 31, brothers from Montgomery, Ala., and Frank A. Morris, 35, of New Orleans, La. Since Alcatraz became a federal prison in 1934 escape has been attempted previously by 20 convicts. Five were shot. Twelve were recaptured. One drowned and two others are believed to have drowned. 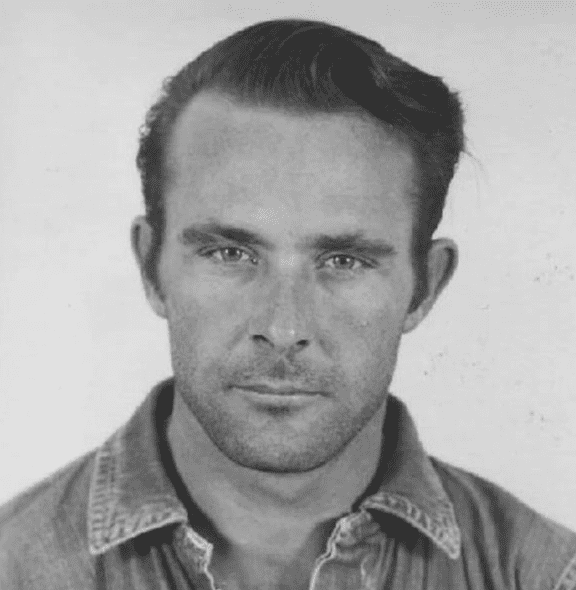 Aaron Walter Burgett, 28, Missouri post office robber, drowned in an attempt to swim from The Rock in September 1958. His body was found 14 days later. In 1937 Ralph Coe and Theodore Cole vanished after an escape effort. Paul J. Madigan, then Alcatraz warden, said he was convinced they drowned. 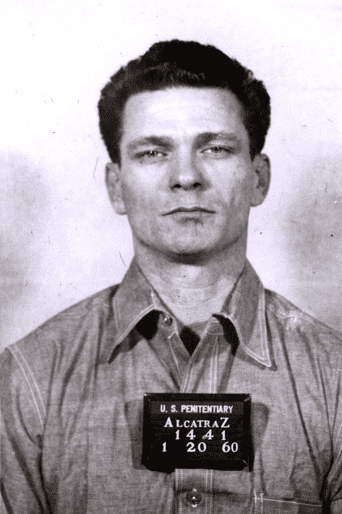 SAN FRANCISCO (AP) – Three Alcatraz convicts vanished from the island rock prison Tuesday after months of chipping with spoons through a concrete cell wall. Their escape from three separate cells, through air vents into a pipe tunnel, apparently was concealed for hours by life-like, plaster-headed dummies they left in their beds. Prison officials expressed belief that they used a driftwood raft to get off the island. If the escape is successful, it will be the first to succeed in the 28-year history of the federal prison. Alcatraz sits like a battleship in San Francisco Bay 1¼ miles north of San Francisco. A widespread hunt for the three convicts included a military police search of Angel Island, a timbered state park 1¾ miles north of the bleak rock prison. Eleven previous escape attempts ended in failure. Thirty-five men were involved. Two made the attempt twice. Frank Lee Morris, 35, under 14-year sentence for the 1955 burglary of a Slidell, Ala., bank. The burglary was carried out after Morris escaped from the Louisiana State Prison at Angola, where he was serving a 10-year term for armed robbery. John W. Anglin, 32, under 15-year sentence for the January 1958 robbery of the Bank of Columbia, Ala.
Clarence Anglin, 31, John’s brother, under 10-year sentence for the Columbia robbery. Because of the plaster-headed bed dummies, the three bank robbers were not missed from their cells until 7:15 a.m.
All the prison’s 234 convicts are required at that hour to step to the front of their cells for inspection by guards. Hourly cell checks through the night did not detect their disappearance. The men apparently worked for months gouging with coffee spoons through four-inch-thick concrete surrounding a heavy metal air vent in each of the three cells, close to the floor. They used painted cardboard covers resembling the vents to keep the wall holes hidden. Eventually they had dug holes 10 by 14 inches leading to a utility pipe tunnel back of the cells. The men clearly were able to keep going in and out of the air vents for some time while preparing and perfecting their escape route to the cell house roof. The Anglin brothers were in cells side by side and Morris four cells away. After getting out of the pipe tunnel they climbed a drain pipe to the cell house roof. They removed a riveted section of an air duct and also removed bars from the duct to get out on the roof. They crossed the mess hall roof and went 40 feet down a vent pipe to the ground at the northeast corner of the cell house. SAN FRANCISCO, Calif. (AP) – Three Alcatraz convicts vanished Tuesday from the island rock prison after long, secret months of chipping with spoons through their concrete cell walls. Their escape from three separate cells through air vents into a pipe tunnel apparently was covered for hours without detection by lifelike plaster-headed dummies they left in their beds. Prison officials express belief that they used a driftwood raft for what may turn out to be the first successful break in the 28-year history of the federal government’s toughest prison. Warden Olin D. Blackwell told the Associated Press late Tuesday that it is “my personal opinion that if they tried the water they did not make it. Note: An online collection of newspapers, such as GenealogyBank’s Historical Newspaper Archives, is not only a great way to learn about the lives of your ancestors – the old newspaper articles also help you understand American history and the times your ancestors lived in, and the news they talked about and read in their local papers, including more recent events. 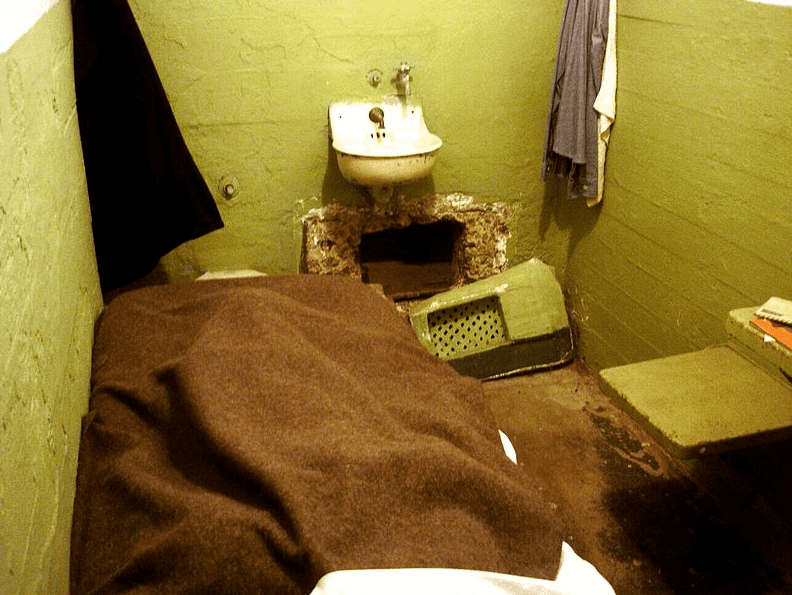 Did Two Cons Escape from ‘Escape-Proof’ Alcatraz? June Update: GenealogyBank Just Added New Content from 70 Titles!